Used in cosmetics such as hair oil, jelly etc. A good solvent for many synthetic resign, especially oil modified alkyds. Used as a diligent in conjunction with other solvent in formulation of solutions of resign. Recommended for deep drawing of aluminium wire and high speed drawing. Suitable for use as wire drawing lubricant with different class of dies. 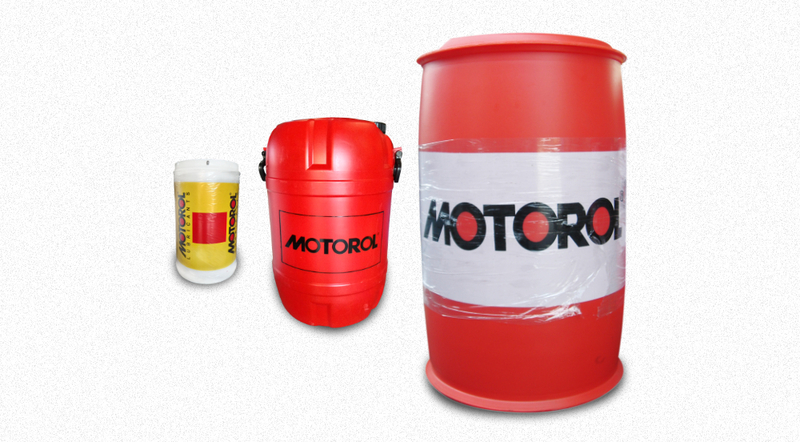 used for protection during storage of machined components and machine tools. HA Q tech 22 synthetic grade oil is recommended for use in evaporation and compressor of refrigeration system where very low temperatures are required using CFC, H-CFC and NH3 refrigerants like R 12, R 22, R 22 mixtures like (R 401, R 402), R 502, Ammonia. MOTOROL RINKSOL H recommended for use in drying of cellulosic insulation of the transformer winding when requires that the moisture content be brought down to 5 ppm level before impregnation of the winding with transformer oil, recovery of solvent and discarding the moisture. The fluid basically acts as a heat carrier to the insulation. Motorol Calibest (M) is used for calibrating the fuel injection nozzle of diesel engines. Motorol Calibest (K) is used for calibration of nozzle for stationary engines. MICO (Bosch License) No. 9916034004 and ISO 4020 standards. Cummins specifications such as Viscor 1487-C, SAE J967 – C and ISO 4113.